Whether you want a private tour for two or a custom tour for all of your friends, we can accommodate you! Perfect for bachelorette parties, family reunions, anniversaries, or any other gathering in Cape May. Call us at 833-386-7433 or send an email to info@curiouscapemay.com and let us know what type of tour we can arrange just for you! Curious Cape May created the perfect bike tour for my bachelorette party. We were able to enjoy a leisurely ride around town and hear entertaining stories about Cape May’s past. I’ve been coming to Cape May since I was a child and I’d never heard about most of the history in the tour. They really dug up some great information and shared it with us in a unique and entertaining way. Tour times and duration will vary based on the needs of your group. 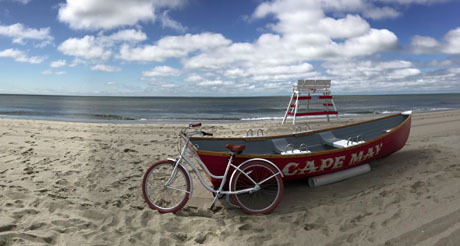 Contact us today to schedule your private bike tour around Cape May. To learn more about our tours, visit our Frequently Asked Questions page.